...and a large number of the stones forming the outer wall of the building bear the largest Greek inscription ever found, detailing the laws of the city during the pre-Roman period. Mentioned by both Homer and Plato, it is clear that Gortyn was a city of some size and wealth even in early days. It almost certainly dates back to the Minoan period and was one of the two most powerful civic centres on Crete even during the age of Classical Greece, when it vied with Knossos for control. … Gortyn accepted their rule willingly while other Cretan areas resisted. Consequently by 70 BC, Gortyn had expanded and become the Provincial capital of Crete and the area of north Africa called Cyrenaica. By the time of the fall of western Roman power, Gortyn had become a thoroughly Christianized city. St. Titus the apostle founded the first Christian church in Crete at Gortyn, and in AD 250 the Ten Saints (Ayioi Deka) were martyred here. Gortyn continued to flourish in the Early Christian and Early Byzantine periods (4th-9th c. AD), when there was extensive building activity, and the largest fortification wall on the acropolis was built in the reign of the emperor Heraclius (7th c. AD). Gortyn was destroyed by the Saracens in the early 9th c. AD, and has remained uninhabited ever since. Though there is only a small area of the Roman city fenced off and preserved for tourists, Gortyn covers a massive area mostly underlying olive groves. It is quite possible to cover the entire area on foot, though be prepared for a long, hot journey. 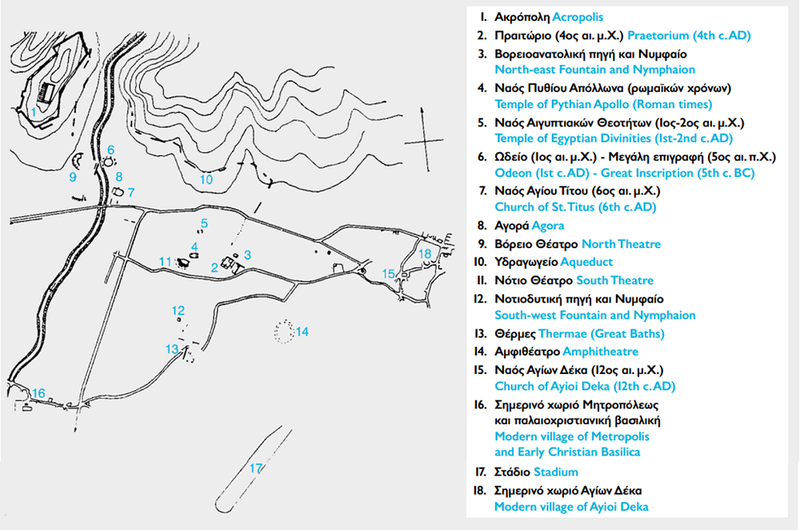 Our plan was to depart from the Church in the village of Agioi Deka and using a map work our way round all the sites to end at the complex by the roadside. 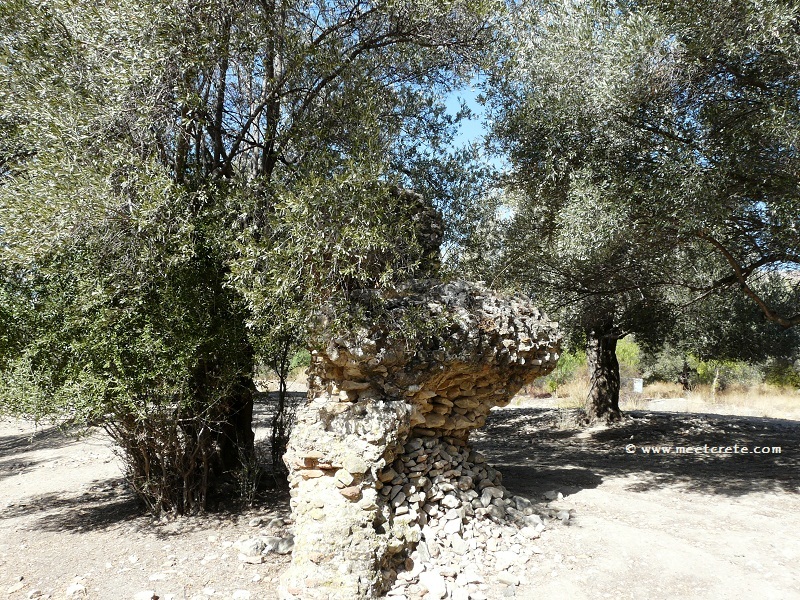 “We found it incredibly difficult to navigate our way through the never-ending olive groves and totally failed to locate the hippodrome and amphitheatre, both of which lie badly preserved somewhere in the southern area. 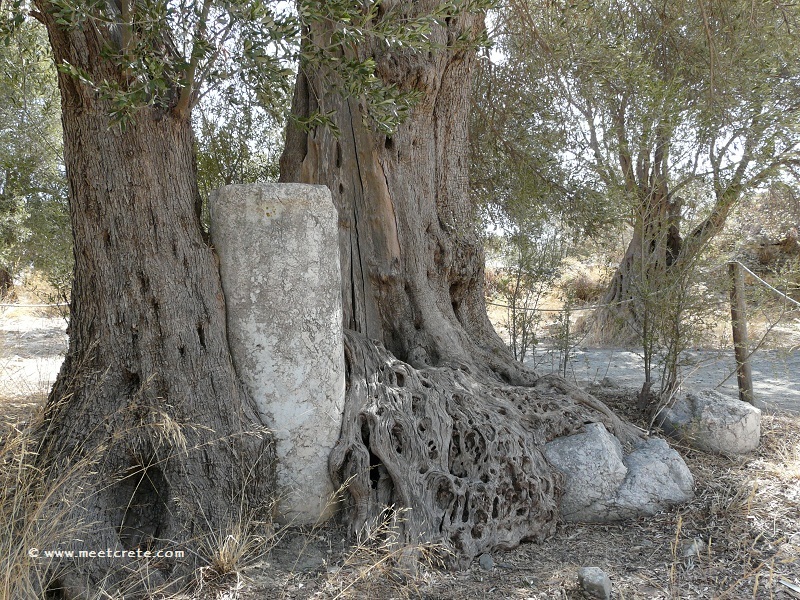 Despite this, everywhere you go in the groves you will find scattered walls of buildings or fallen columns and it really is a sight to behold. Eventually you will likely come across the area known as the Great Gate. Here are the remains of a bath house and close by a theatre (one of at least three in the city!) This is ruinous but was being excavated in 2003 when we visited. Not far from here are a cluster of better sites. 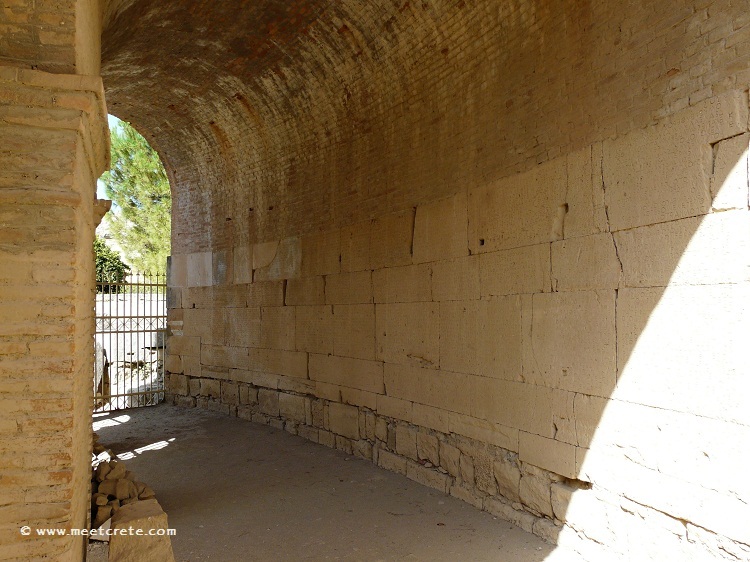 A badly preserved temple of Isis and the Egyptian Gods and Nymphaeum remain in the area. Just off the road is a visitor centre and museum and a fully excavated area of the city. The most impressive remains here are those of the Odeon (a small theatre designed for poetry readings and music recitals). The arches and the seating itself are clearly visible, along with the shape of the stage. The main point of interest here though is the presence of the famous Gortyn Law Codes. At one time the Odeon had been rebuilt using stones from other public buildings and a large number of the stones forming the outer wall of the building bear the largest Greek inscription ever found, detailing the laws of the city during the pre-Roman period. 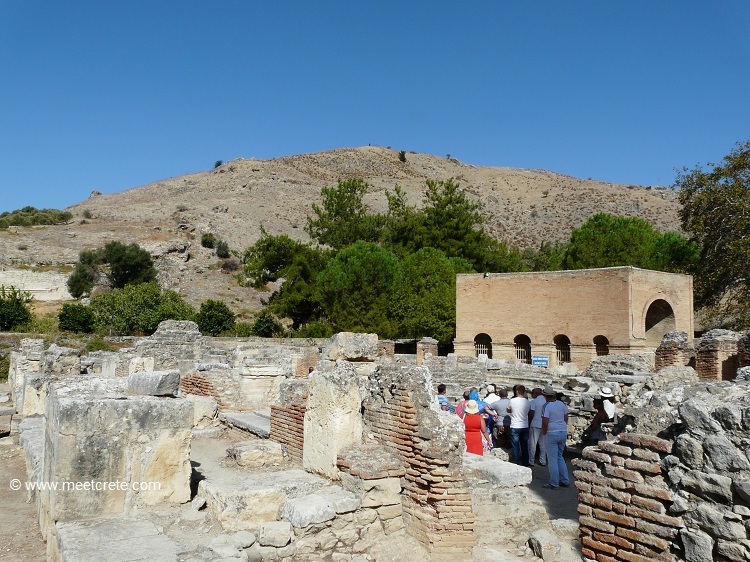 In the same excavated area lie the ruins of the Byzantine church of Agios Titus (St Titus), built in the 10th century on the remains of a church dating back to the 7th century. The church is believed to be the saint’s burial place. Only one end of the church still stands, testament to its destruction by the Arabs. 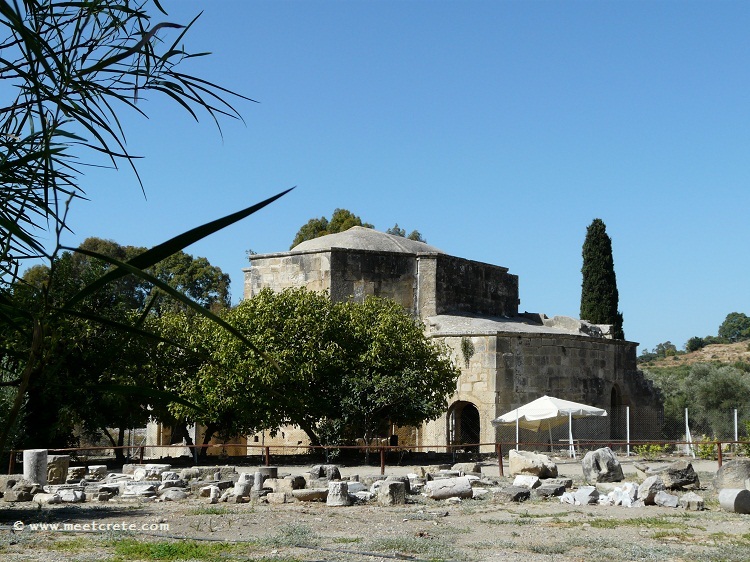 Byzantine church of Agios Titus – At the time of my visit in 2013 and 2014, entering in the place of the Agios Titus church was not allowed due to excavations being in process. The city stretches over a vast area and on the hill opposite the excavated area stands an acropolis with byzantine walls and another theatre on the lower slope. A visit to the local village of Metropolis reveals yet more remains. 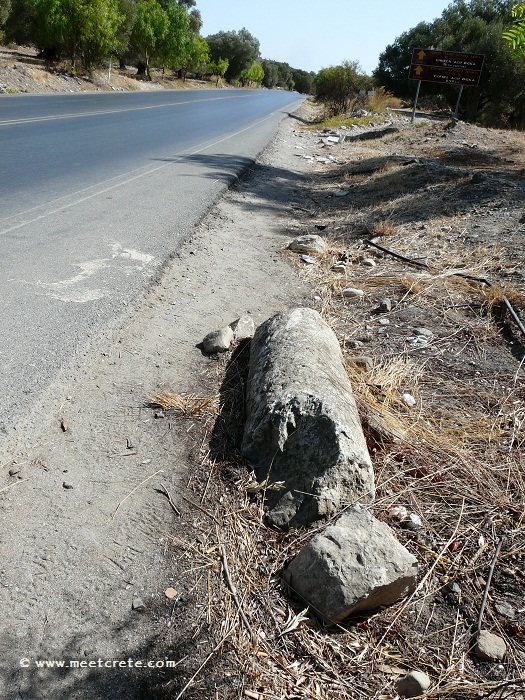 It is difficult to go anywhere in a four mile radius and not find some remnant of Gortyn.